Author(s) Tan, Andrew T .H. Terrorism is increasingly at the forefront of political agendas. Events world-wide have led to an increased awareness and response to this global phenomenon. The focus of this volume is on examining the fundamental causes of alienation and rebellion that underlie the use of terrorism as an instrument of violence. essays, each of around 8,000 words in length, providing in-depth analysis of topics of relevance in the subject an A-Z glossary of key terrorist groups and organizations, as well as major terrorist incidences and events detailed maps and statistics an extensive bibliography listing further relevant reading material. 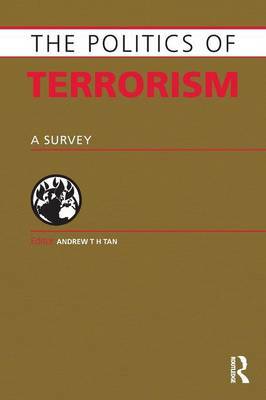 This unique combination of analytically detailed essays with statistics and a glossary make this title a unique one-stop reference source as well as a training and education guide on the politics of terrorism world-wide.